In most cases, cars break down in the most unexpected time and place, be it a simple flat tire or a busted alternator. Drag, isn’t it? It could get worse, especially if you’re not prepared enough for such car troubles. Blaming the car or even yourself won’t make the poor vehicle start. As a safety precaution, make sure to have these 10 basic yet useful tools inside your trunk so that the next time the road gods decided to pull the good ol’ Murphy’s Law upon you, you’re up and ready for some minimal workaround to say the least while driving around town. One of the most common car-related mishaps is having a flat tire. Your spare tire would be nothing but a useless rubber-and-rim if you don’t have the tools for changing tires. In relation to this, you must know the right hydraulic jack for your car. Each variation of service and hydraulic jacks have their own specific weight limit, that’s why you must know the weight range of your vehicle before buying one. 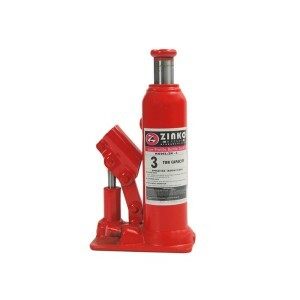 Cross Wrench or lug wrench for some, go hand-in-hand with hydraulic jacks. Without this, it would be difficult for you to dislodge the set of lug nuts that’s keeping the tires intact from the vehicle’s axel. Unfortunately, the human finger is not built to withstand the complexities of the car’s small components, especially when the need for tight grips in hard to reach areas comes, as well as for bending, flattening, twisting, cutting and compressing small, hard objects in a brisk manner. This is where the job for multipurpose pliers comes in. Normally, these tong-like tools can be bought individually. However, it is recommended that you should get a set to accommodate a number of tasks that a single pair of pliers can’t cover. Mechanical components installed in a car have different set of locks and fasteners. Most common of those are screws (usually used for interior assembly). Even further, screws have different screw-heads, which can be driven by a specific screwdriver. 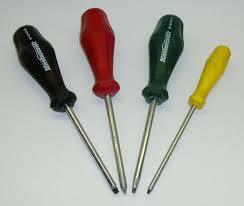 Typically, these are the Philips, regular or slot, Torx and Frearson to name a few. Keep in mind that these screws differ from each other, hence needs a particular screwdriver for locking and loosening one. As said a little while ago, locking agents such as screws, nuts and bolts have distinct heads. 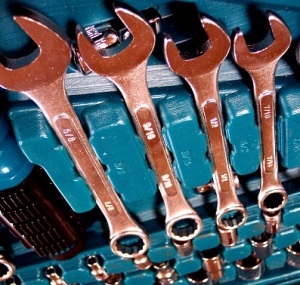 In this case, adjustable and combination wrenches are needed to apply torque for gripping and locking these fasteners. 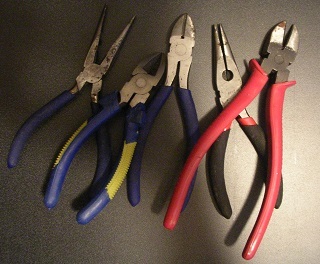 Common types of these are the combination, box-end and open-end wrench. Size designations also differ according to the dimension of the nut/bolt, so it is advisable as well to keep as set in your car. At times, you may need to look into the car’s electrical wiring, particularly when you are experiencing faulty headlights, glitchy stereo unit, air-conditioning problems or battery wiring problems. 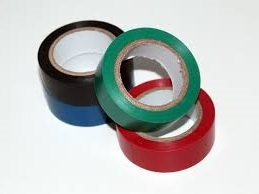 In case you feel the need to troubleshoot these aspects, you need to have a roll of electrical tape in handy for wrapping loose wires. 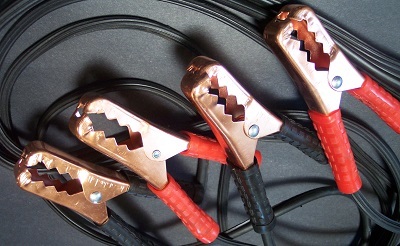 This is to prevent the possibility of short circuits, as well as for neatly bundling the wires together. Also known as “Crocodile Clips”, these wires will serve as your car’s lifeline in the event your battery suddenly dies on you. This works by attaching the clips onto your dead or under-charged battery’s terminals, while the other end to an external power source or onto another vehicle’s battery for recharging, giving it a “boost” to start the vehicle. 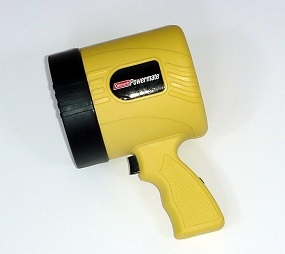 This tool is vital for those cars that are not capable of push starting method (Automatic Transmission). 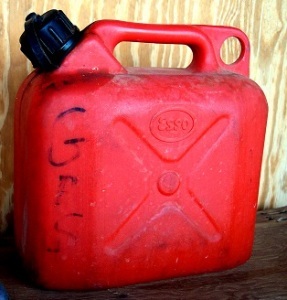 Emergency gas and/or water containers are vital and a-must in every car, especially when planning a cross-country drive. You’ll never know when and where a sudden radiator overheat will strike or how far is the next gas station for you to refuel. So, it’s better to at least stockpile these containers, and fill ‘em up just before braving the long and winding road. When car-related emergency strikes, you’ll never know how long it will take you to fix it or worse, how long you have to wait for road assistance to come and be of rescue. And much to the extent, you will never know if those driving by vehicles noticed that you’re currently in the midst of your road despair. 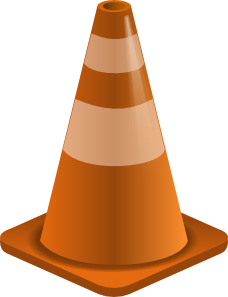 Those are reason enough to keep early warning devices such as reflectors and cones in your car. This is to inform and keep other motorists on alert of such roadside emergencies, especially during at night time. And speaking of car emergencies occurred during night time, the last thing you want to do is to work on a complicated car repair blindly in the middle of nowhere. Day time or night time, emergency lights such as flashlights and torch lights are definitely something you need to have inside the car’s glove box for times like these. In conclusion, you don’t have to bring your entire collection of garage equipment with you. Just having these basic tools can save you the hassles of time-consuming wait for road assistance. Think of it as a first aid kit for automobiles. Adding to this, knowing a thing or two about mechanical troubleshooting goes a long way! Lastly, to ensure convenience and carefree ride, make sure to maintain the mint condition of your car by means of regular check-up and tune-up before hitting the road.